Most funding agencies now require researchers to specify and think about the broader, societal impacts of their proposed research. This makes a lot of sense, since approximately 80% of research is publicly-funded either by governments or charities. Thus, the outputs of most academic research should ideally make some kind of contribution towards wider societal impact, even if tenuous or long-term. Here at RIO, we don’t think the potential societal impact of research is well surfaced by most traditional journals, and this is something we’d like to improve upon. So, as one of the many innovative features of RIO, we’re going to experiment with social impact labelling and categorization of research outputs based upon internationally-recognised external criteria such as the EU Societal Challenges (the priorities of EU Horizon 2020 funding), and the United Nations’ Sustainable Development Goals (SDGs). Recognizing that the mapping of a given piece of research to such impact categories may be difficult at times, we strongly encourage the use of this feature, but do not require it. 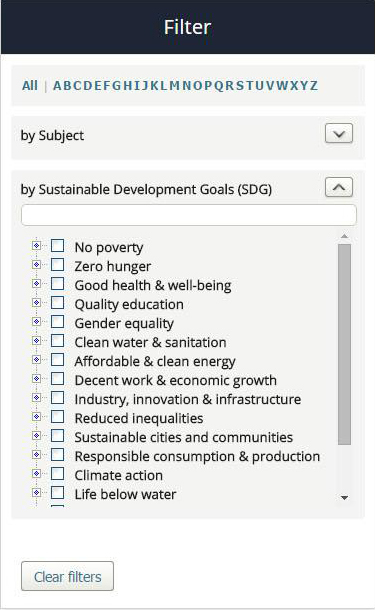 More detail about the UN SDGs is available at: https://sustainabledevelopment.un.org/partnerships . This image is copyright of the United Nations Department of Economic and Social Affairs. Permission for re-use is granted by the UN. How will it work, in practice? Authors will have the option to choose societal impact badges from a preset list provided by RIO (see the Filter image for an example). The badges indicate impact categories that are or may be relevant to their submitted work. Reviewers and editors can assess the appropriateness of these badges, and if accepted, these badges will be pinned on the published output, so that they are clearly seen on the landing page of the work. We think this will benefit authors, readers and funders of research. For Authors: It will better advertise the intended societal impact of their work – sometimes this can be quite indirect, so we think this expressive labelling will aid the recognition of potential social impact. For Readers: It will hopefully encourage more interdisciplinary reading. When searching for work relevant to ‘Zero Hunger’ (SDG #2), articles from vastly disparate subject areas will be more cohesively surfaced: social sciences, biology, chemistry, and engineering may all be relevant here, amongst others. Outputs from these different disciplines will no longer be siloed away from each other in vastly different journals. For Funders: Interesting research outputs that are relevant to specific societal challenges, some of which may be ideas not yet funded(!) may now be more clearly and relevantly presented. Enabling the filtering of a diverse range of research ideas and outcomes by societal impact is thus clearly desirable, and while RIO is the first to implement such a system, we would encourage the wider community to join us in highlighting the connection between research and societal impact more systematically. Do you want the potential societal impact of your research to be more clearly signalled to the world upon publication? Submit your research to Research Ideas & Outcomes (RIO) – we’ll start accepting submissions in November. P.S. The RIO team listens to constructive feedback on the journal from the global community. 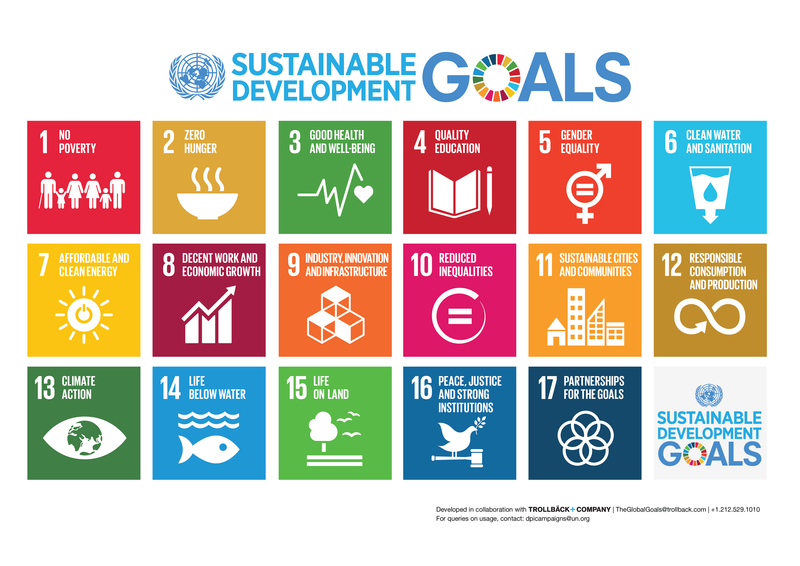 We are therefore delighted to acknowledge and thank our advisory board member Susan Reilly (LIBER) and Stuart Hamilton (IFLA) for emphasising the UN Societal Development Goals. We have taken that on board and will be using these and other internationally recognised societal goals as the basis for societal impact labelling at RIO.